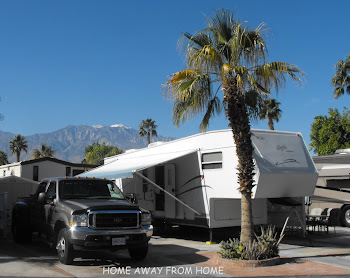 We love rv’ing all over the country but there is one place that we love the most and that is Palm Springs, California. We have been rv’ing here many times over the years. Sometimes it was for just a few days as we passed through to get to other locations but we would always come back. Palm Springs is much like home in many ways, and in a fairly central location for access to much of southern California. The sun is shining all the time, so what more could we ask for our winter vacations? Palm Springs is located in the Coachella Valley, one city of many that stretch through the valley. Palm Springs is the familiar name to most so we refer to the whole valley as that when we talk about it but in fact there are nine cities. See the map at the bottom to see what I mean. Here are some pictures of this area. Palm Springs was the most famous city of the valley. We have seen a lot of changes in the Coachella Valley over the years that we’ve been rv’ing here. The population of Palm Springs is almost 48,000 but the entire Coachella Valley is 410,000 with a seasonal influx of about 100,000 people. We usually stay in Cathedral City, which gives easy access to everything. We can get anywhere within twenty minutes or so, even in heavy traffic times. 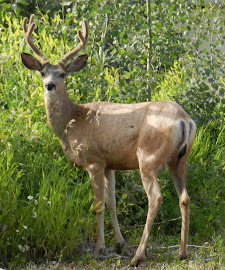 There are several RV parks in the valley, depending on what you require of your park. The gated park we recently had the fortune to stay in is for long term stays. Our friends live here for the winter season every year and love it. It is a community of like-minded retirees and is one of the most welcoming places to stay. There are wonderful amenitites available to all those that stay here. Most RV’ers who come here for a visit, end up buying their own place and come back every winter. There are swimming pools and hot tubs scattered around the park and they also have laundromats at each of these locations. There is a woodworking shop, a crafters room, library, gym and more. There are organized social groups for many things and lots of evening entertainment for those that want to participate. The green spaces have fountains that offer the sound of splashing water that seems so calming for everyone. The ducks enjoy an occasional visit in the ponds and we’ve even spotted a blue heron who will stop on his way by for a look into the pond. There are bunnies and roadrunners who make an appearance now and then, too. The bunnies stay hidden till it gets dark but the roadrunners are fairly brave and stay to forage the insects they want to eat. They know they can sprint away quickly if they need to, they will fly if avoiding a predator but they know there are none here in the park. Roadrunners, part of the cuckoo family are 18”-24” from tail to beak and can run up to 32 km/h (20 mph). I found it interesting to learn that during the cold desert nights they will lower their body temperature and then during the day will expose dark patches of skin on their back to the sun. We call that solar panel heating ! Fruit trees can be seen all over southern California but it sure is a treat to have one in our own back yard. They ripen in the spring so are not good eating yet but when that time comes, there will be an abundance on this tree. Palm trees are the tree of choice in the valley. There are several kinds but the most common in the park are the date palms. Palms are the signature tree for southern California and seem to add to the magic of the valley. The beautiful Bougainvillea plant is seen all over the valley. They can be trained to grow tall, like a tree, as was this one in the photo above, or grown as a shrub, bush or vine, according to how it is pruned. Magenta seems to be the most common colour, but we also saw purple, pink and red blossoms. As pretty as they are, bougainvillieas are full of thorns but are very hardy and drought resistant. The old Palm Springs Plaza Theater, downtown Palm Springs was a movie theater in its early years but it shut down in the 80’s and sat empty until a very clever man, Riff Markowitz decided he wanted to produce a follies show and that he did in a glorious way in 1991. The interior is beautiful and takes you back in time to the days of old. The Palm Springs Follies is a music, dance and comedy show with music of the 30’s, 40’s and 50’s. Riff Markowitz, the founder, also emcee’s the show with his style of humor and offers us a show not to be forgotten. The most amazing part of this show is that all of them are entertainers from that very era. The showgirls range in age from 50 to 86 today. The Guinness world record set in 2008 for the oldest performing showgirl still working was 84. They are all beautiful and have legs that any woman will envy. This show should not be missed. To learn more or book the show for you visit, clik on their link. The Follies includes a guest star that changes from one season to the next. We had the pleasure of seeing Gloria Loring perform on two separate occasions and she has a beautiful voice that gives you shivers. Any opportunity you may have to see Gloria sing is a must. Visit Gloria’s webpage to see where this very accomplished lady may be performing, her CD’s are available on her webpage. There are 340 vendors participating in the College of the Desert Street Fair, located on the campus, that carry new merchandise, arts and crafts as well as lunch sites and the Farmers Market. The Alumni Association uses the funds raised at the Street Fair to provide student scholarships and financial aid to fun many other college programs and projects. The Street Fair patronage allows the Alumni Association to continually support the College on the Desert. The shuttle is available to transport visitors from the parking lot to the street fair and back again. It is great if you find yourself with your arms full of bags and can be a long walk after all that shopping. The Street Fair is open on Saturdays and Sundays. October to May the shuttle operates from 7 a.m. to 2 p.m.; June to September, 7 a.m. to noon with free parking. Come early and plan to stay awhile. There is much to see and you're able to have lunch while you're there. I’ve told you a bit of the wonderful life in Palm Springs but there is so much more! I plan on doing that on future blogs pages. I will save that for our next Palm Springs visit, so stay tuned. Seven of these cities do seem to all be one city as there is no break between them. They are Palm Springs, Cathedral City, Rancho Mirage, Palm Desert, Indian Wells, La Quinta and Indio, west to east. They are on Highway 111 and it is 35 km (20 mi) from one end to the other, about a 25 minute drive. Interstate 10 bypasses these cities and gives access to them all to shorten the drive, but you’d miss much of the Coachella appeal. The towns on the north side of I-10 are Desert Hot Springs and Twenty Nine Palms. Remembrance Day has always been a special time for our family as my dad served in World War 2 and it was important that we honor our fallen soldiers and pay tribute to them all on November 11 at 11 am. I felt that we were honoring only those who had died but as time goes on, I realize that there were other sacrifices made by our soldiers and they should be honored as well. Most of the surviving soldiers of the world wars have now passed on but we will forever honor all those who have paid and will pay the price of being part of the Armed Forces in the line of duty. Today we honor them all. We visited Patriot Park in Cathedral City several times over the last few days and nights, and it is a very emotional feeling to be standing here with thoughts of all those young men and women who have given their life for their country. And to also think of the moms and dads and siblings of those same soldiers and mourn with them for their losses. Here are some pictures that show this moving memorial. This same day is called Veteran’s Day in the United States of America. Celebrations and parades are held all over the country to honor those veterans who are here and able to celebrate with us. Sections are marked alphabetically so that one might find someone they wish to honor and there are apparently over 5000 flags in Patriot Park for this special occasion. Volunteers transformed Patriot Park into a sea of red, white and blue by setting up on November 8 and taking down on November 15. Each flag pays tribute to fallen soldiers and will help visitors to heal, honor and remember that freedom is not free. It honors the selfless dedication and ultimate sacrifice by the military. This moving event features one 8 foot US Flag for each military person lost in Afghanistan and Iraq conflicts. Each flag is personalized in memory of a soldier, sailor, airman or marine. World War 1 ended November 11, 1918 at 11a.m. when Germany signed the Armistice and has been observed as Remembrance Day in the Commonwealth countries since King George V dedicated it on Nov. 7,1919. We pay homage on Remembrance Day in Canada today and honor those who have made the ultimate sacrifice in times of war and all who have served their country in times of need. We must also remember those who are now serving our country and those who have died in the line of duty in today’s war. To mark the day, Canadians wear a small red poppy, chosen in 1921 as a symbol of this day as memorialized in the poem In Flanders Field by John McCrae. Flanders Field, in southern Belgium, is covered in poppies. The red color also signifies the blood shed. We honor all of these soldiers, Canadian and American and thank them for their sacrifices.